Discovered while adding chlorine to the pool this evening. What a strange looking spider! On closer inspection we discovered the strange looking spider fangs were actually frogs legs. 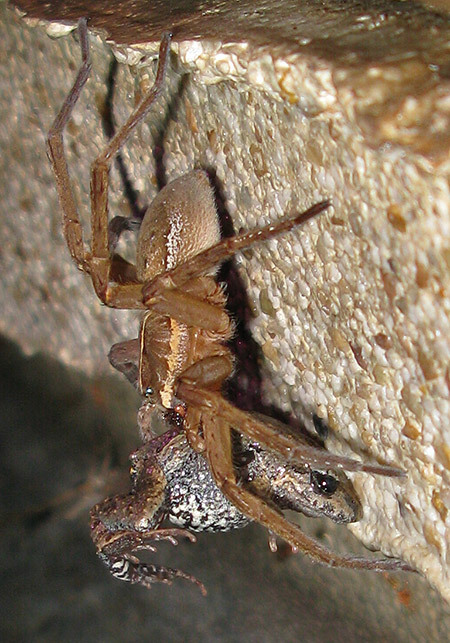 The prey is one unfortunate Common Eastern Froglet ( Crinia signifera ). The little frogs are quite noisy at the moment, enjoying the rain and mild Spring weather. This little fellow should have stayed away from the swimming pool. 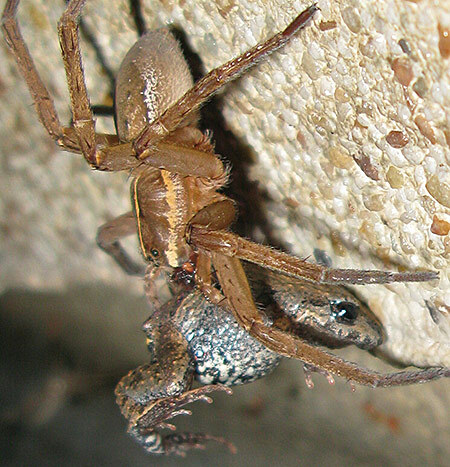 The spider shown frequents the cracks around the pool coping edge and often feeds on insects and small crickets that wander by. 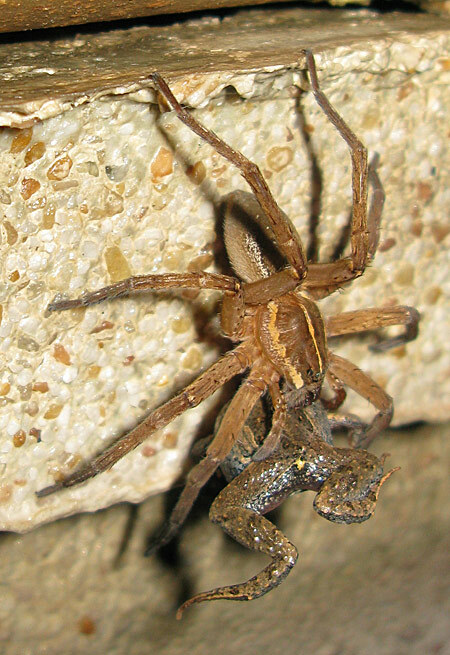 The spider appears to be a Fishing or Water Spider ( Dolomedes sp ) and has often been seen around the pool edge or on the surface of the water. 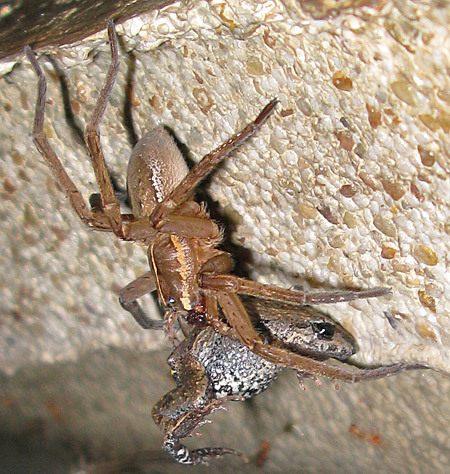 Filed under: Spiders | Comments Off on Spider Eats Frog!